BOSTON — One wonders when this Captain Underdog story, starring Daniel Nava, will run out of sequels. Probably when he stops improving. HOME SWEET HOME: Boston’s Daniel Nava is greeted by teammates after hitting a three-run home run in the seventh inning of the Red Sox’ 3-1 win over the Baltimore Orioles on Monday in Boston. So far, that hasn’t happened. Used to be Nava was only a good hitter. And although he was a switch-hitter, he was obviously much better left-handed. Nava made it to the majors in 2010, but then spent all of 2011 in the minor leagues. We thought we heard the last of him. But there was Nava playing in Fenway in 2012, and his improved play in left field was noticeable. In spring training this year, Nava was asked to play first base for the first time in his life. He adapted to it so quickly, Nava was named the primary back-up at first, as well as a candidate for the outfield and designated hitter. He secured a spot on the roster. Still, there was that .191 career batting average against left-handed pitching. Nava worked on that, too. There were signs of better at-bats during spring. Nava improved so much that for opening day at Fenway Park, manager John Farrell not only benched outfield sensation Jackie Bradley Jr., he put Nava in left field and batted him ahead of right-handed masher Jonny Gomes. Nava was hitting sixth, batting right-handed against left-handed Wei-Yin Chen. Farrell used Nava a lot against lefties in the spring. There was the night game against the Phillies where Nava fouled off some tough pitches from Cole Hamels before hitting sacrifice fly to left. But hasn’t Nava always battled? When Nava made it to Double-A Portland in 2009, he was 26, ancient in minor league years. Yet Nava made for an inspiring story. Once a college kid who washed the baseball players’ uniforms so he could stay close to the team, Nava surpassed hurdle after hurdle to not only play college baseball, but become an All-American and eventually sign with the Red Sox. The story figured to fizzle out. But Nava hit .364 for the Sea Dogs, moved on to Triple-A in 2010 and then was called up to the majors. His debut is still talked about. 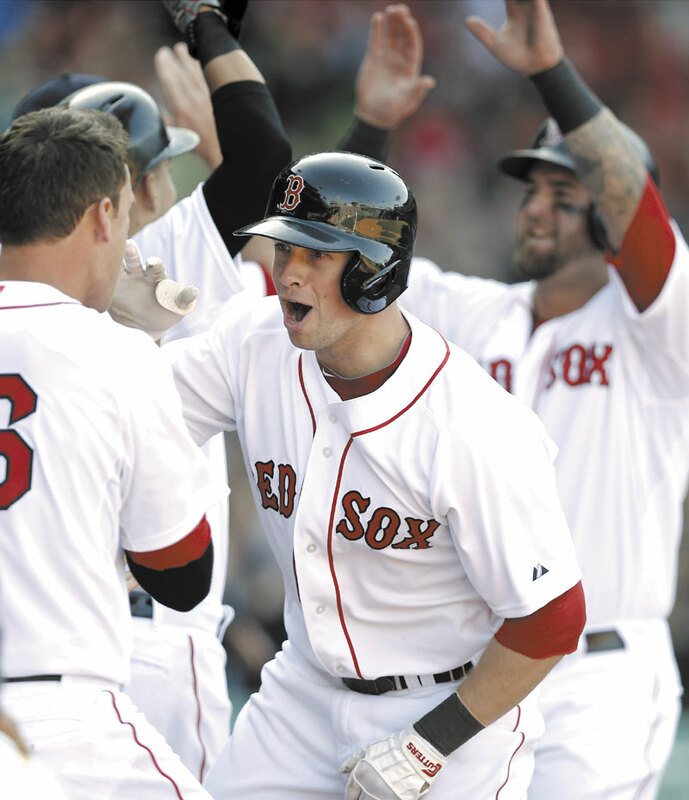 In his first major league at-bat, Nava hit a grand slam at Fenway Park. But then came a full season in the minors in 2011. Nava wasn’t even invited to major league spring training in 2012. “It’s been a good journey,” Nava said. “A lot of stuff has happened. Learned from failing. “To get called up last year meant more than the first time because I had to go through some obstacles to get back. Asked if the rise of Bradley has affected him and his chances to stay in the majors. “It didn’t change a thing,” Nava said. “I’ve tried not to let other people’s situation affect mine. It’s the nature of the road I’ve taken. Bradley is a potential star. Nava is the stellar role player. He can play the corner outfield spots and now first base. Plus, he is now a legitimate switch hitter. Going into the seventh, Nava already had the best day at the plate for Boston with a walk and a single. His three-run home run — his second homer in two games — capped the day. Nava, once an inspiring oddity, is now more than that. He is an all-around player who comes through in the clutch. And Monday’s game won’t be the last one he wins for the Red Sox.